In the early 1960s, when I was in college, I took a course on the history of California. This was, in a way, an act of laziness. Growing up in the East Bay area, I already knew a lot about California history from units of study that were parts of the required curriculum in high school and even in elementary school: for example, how the Bay Area developed its water system, and how the Gold Rush transformed the state. I expected that I would breeze through my college course on California and be able to use the time to study for other courses. That proved to be the case. But every now and then a statement in our California history textbook brought me up short. 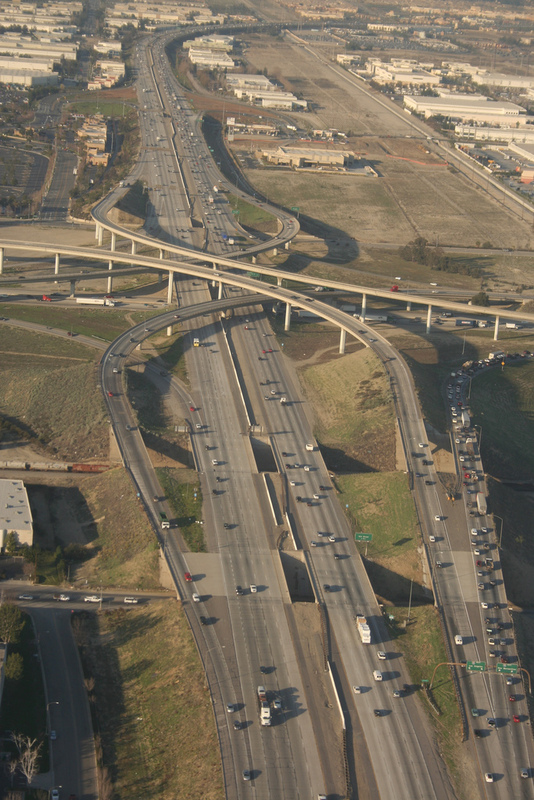 One such comment was the observation that California is an auto-centered culture. I knew the statement was true and important, but I could not reconcile it with my pre-college experience. That, I suddenly realized, was because I grew up without much travel by automobile. My father was an enlisted man in the Navy and so for most of my pre-college years our family did not have enough money to buy a car. In addition, the college course made me realize, by growing up in the San Francisco Bay Area, I lived in one of the few areas of my home state that had an outstanding system of public transportation. 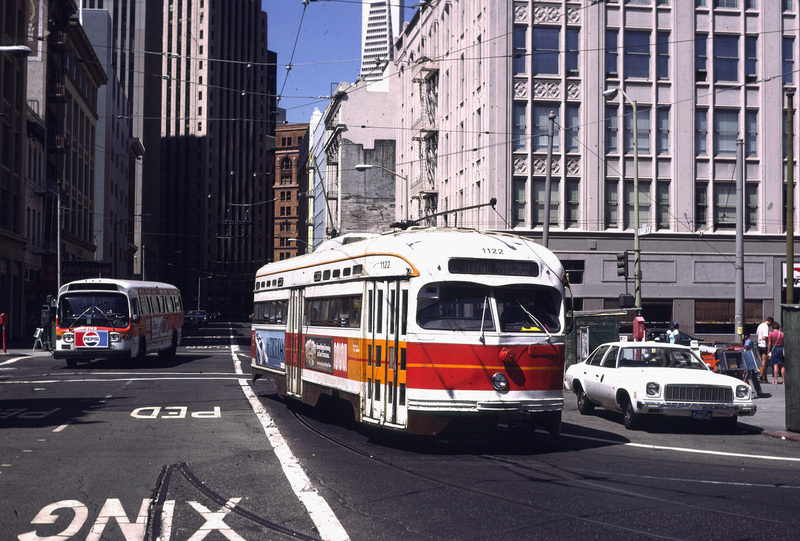 That system was partly dependent on rails: the light-rail commuter trains that existed in a web in the East Bay and went across the Bay Bridge to San Francisco; the classic cable cars of San Francisco’s hills; and the sleek trolley cars of the San Francisco Muni. 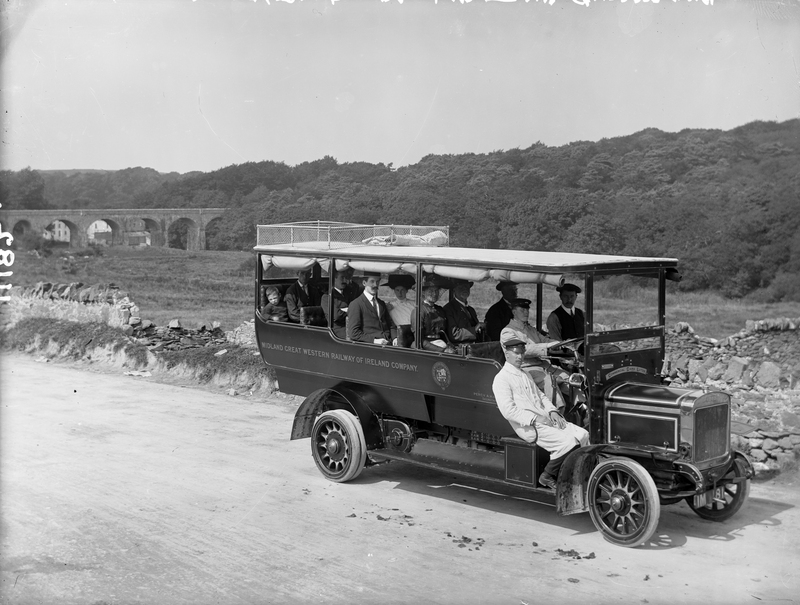 But the main form of public transport throughout the Bay Area was the bus system. You could go almost anywhere by bus for a very low fare, and you could transfer from one bus to another at no extra cost, covering very long distances as long as you were familiar with connections and had the patience to poke along for an hour or two. The Bay Area bus system of my era was probably even more efficient, safe and economical than the subway systems of cities like New York and Boston. My earliest memory of riding the bus goes back to the late 1940s when I was around five years old. 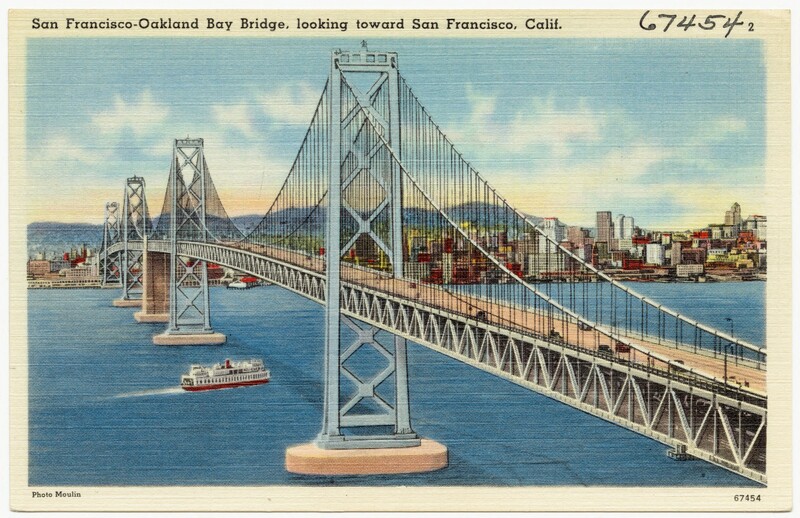 With my mother, I made the long bus journey from our apartment in the East Bay city of Alameda across the Bay Bridge to San Francisco, where we made several transfers and finally arrived by bus at Golden Gate Park where we met up with one of my aunts who came up from Daly City. My aunt did not have children and she enjoyed taking care of me in the park while my mother went for a swim in the big pool. Then with the two of them I enjoyed the children’s playground, especially the big, wavy, brass covered slides, and ate a mustardy hot dog before making the long bus journey home. I also have very early memories of going to the dentist by bus with my father. He had to make several long trips to “Pill Hill,” the medical area of Oakland where there were specialists who could do the complex surgery he needed. He said he would appreciate having me as a companion. Because his appointment was in the evening after work, I was already tired when our bus trip began, and I would fall asleep in his lap on the way back. 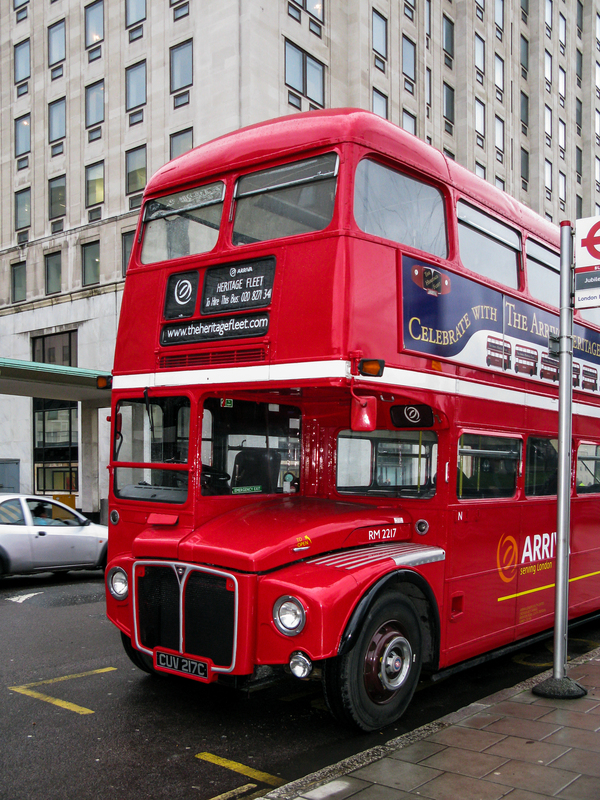 Another early memory of buses goes back to age six. My parents were not churchgoers, but they arranged for me to attend a local Sunday School. Early each Sunday morning, with several other children in the neighborhood, I caught the big rickety bus that stopped a few blocks from my home and took me to church, where I learned about the Bible and sang “Jesus Loves Me.” Even now, many decades later, I recall that experience whenever I see a church bus pass along a highway. When I was seven years old, we moved to the Mare Island Naval Shipyard near Vallejo, where my father was assigned to be the Hospital Corpsman on board a small transport ship docked at one of the piers. The large Navy base where we lived was guarded and was surrounded by a chain link fence. With the many other children living inside the base, I could roam unattended for miles and be back home safely for dinner. The way to cover the most territory was to hop on and off the shuttle bus that made a regular route around the base. My friends and I could get off to watch a ship being repaired, get back on and go watch the men at the rifle range, stop for an ice cream cone at the big recreation building, and see many other wonders. 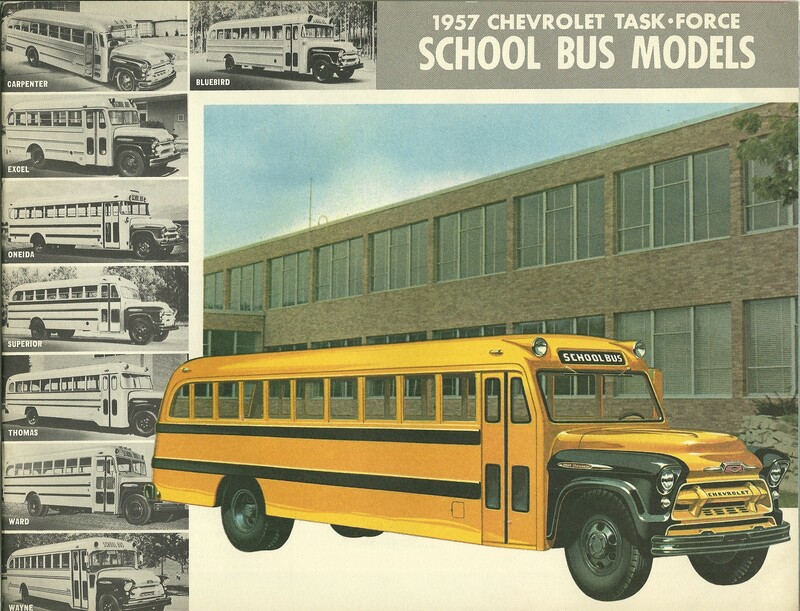 From around age eight, when my family lived in Berkeley, Albany and El Cerrito, and I began elementary school, until the time when I finished high school in 1960, the bus was a part of my life twice each day as I rode to and from my schools. The ride might take as long as forty-five minutes each way. When I was in high school I discovered that I could use the time on the bus to plan parts of my schoolwork: for example, solving difficult arithmetic problems in my head or crafting the outline for a writing assignment. The best parts of the bus rides were the occasions when I could sit in the seat at the front door of the bus near the almost-always-friendly drivers, perhaps to talk with them about baseball or the weather, or to eavesdrop as they greeted the enormous variety of passengers who got on and off each day. After a few years of watching the drivers, I also came to appreciate that their hours were very long. The driver who greeted me in the morning was often the same one who greeted me in the evening. That was, I gradually realized, a lot of time in traffic. The extensive Bay Area system of public transportation was probably in its heyday during the years when I was lucky enough to be able to use it. In the late 1950s and early 1960s, there were numerous strikes by drivers and maintenance workers demanding better pay. These interruptions in service got people out of the habit of using public transportation, and the number of car owners in the Bay Area increased. 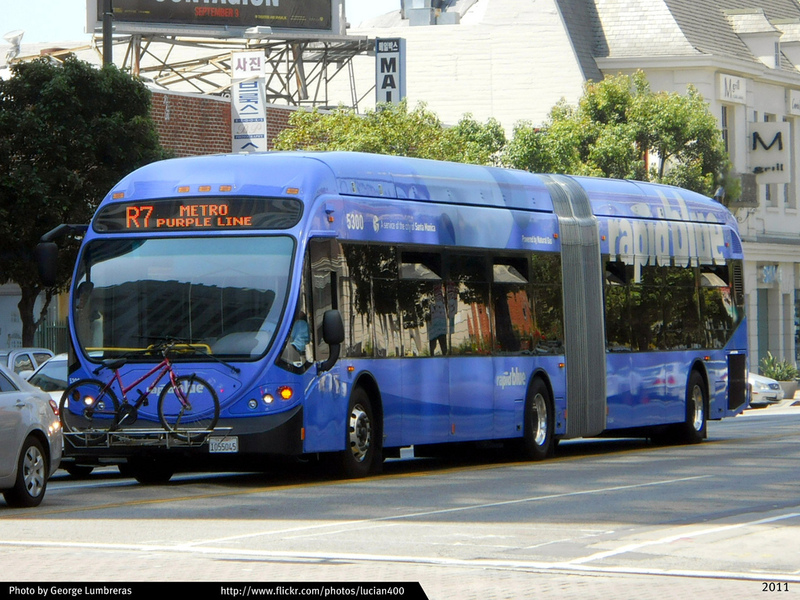 Eventually, the private companies that maintained the bus and light rail systems were no longer able to make a profit. They went bankrupt and were replaced by government lines: in the case of the East Bay by something called AC Transit. The whole experience of “taking the bus” changed for the worse. Thereafter I rode the bus only occasionally: for example, when I took the Greyhound from Palo Alto, when I was studying at Stanford, up to San Francisco and, by connections, to visit my relatives in the East Bay; or when I traveled by Greyhound to inland cities like Sacramento and Chico to see friends who had moved there. Since the years of my boyhood, my major experiences of taking the bus have been in Europe. There, as millions of American visitors have discovered, the patterns of dense human settlement lead to extensive use of public transportation; and the governments of Europe, less market-driven than the U.S., view transport subsidy as a wise use of taxpayers’ funds. It may be that riding the bus has become most important as a part of America’s cultural symbolism about itself. We can recall Clark Gable and Claudette Colbert on the bus in the film “It Happened One Night.” We know the profound importance of the Montgomery Bus Boycott. 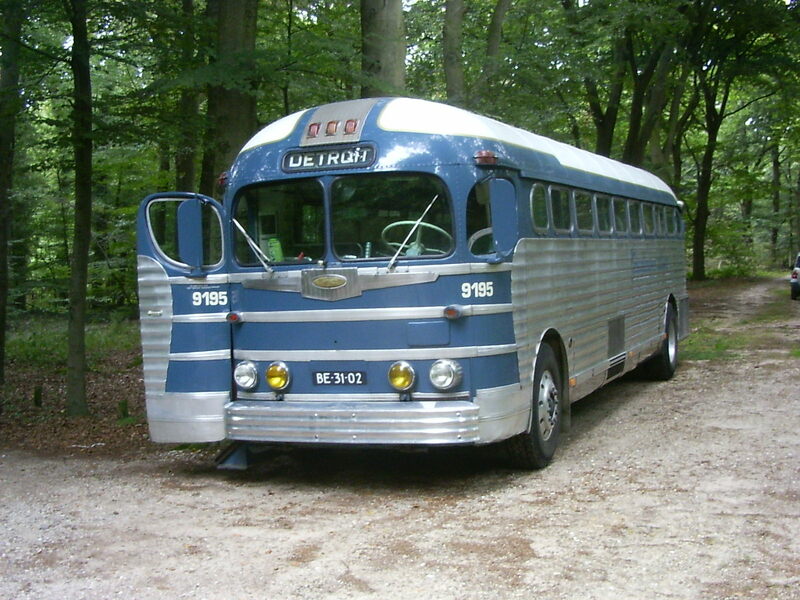 We had Ken Kesey and his band of Merry Pranksters riding their psychedelic-colored bus. No one can forget Dustin Hoffman and Jon Voigt riding the bus into and out of New York City in the film “Midnight Cowboy.” There is Harrison Ford escaping frantically from a prison bus in “The Fugitive.” And not too long ago the news media were full of stories about the “Nuns on the Bus” who wanted Cardinals to give better consideration to women. I think of these and other images during the rare moments in recent years when I have still, because of some odd coincidence, found myself on the bus.